Here at Kedron Vet Clinic we have a dedicated digital x-ray facility on site that we use as an investigative diagnostic tool to assist us with the treatment of our patients. Radiography helps us to obtain an accurate diagnosis and correct examination of the internal structures. Radiography involves taking an image of internal structure’s related to bone and soft tissue’s such as the chest and abdomen. These x-rays are processed immediately on site. We do recommend to fast your pet from 8pm the night prior, as often we may need to provide sedation for x-rays. 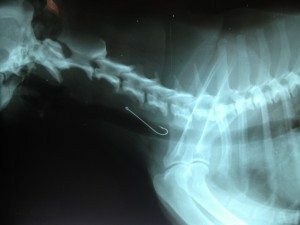 For complicated case’s we have excellent relationship’s with a variety of specialist Veterinarian’s in Brisbane who provide specialist referral for further advanced procedures and treatments such as.